How do I start/stop a SIP? What happens if I miss an instalment? Before you make any Mutual Fund investment, you need to complete a KYC process. This is done through submission of certain documents as proof of identity and proof of address. The process of starting or stopping an SIP is extremely convenient and easy. 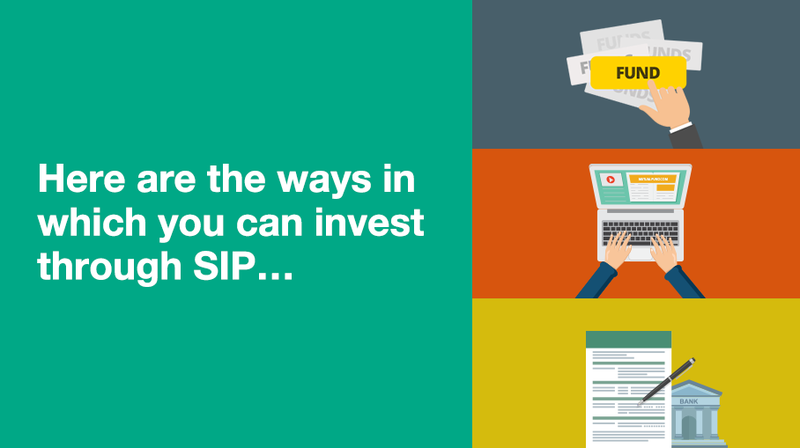 How to start an SIP is explained in the graphics on the left. What happens when you skip an installment or two? SIP is just a convenient mode of investing and not a contractual obligation, there is no penalty even if you miss an installment or two. 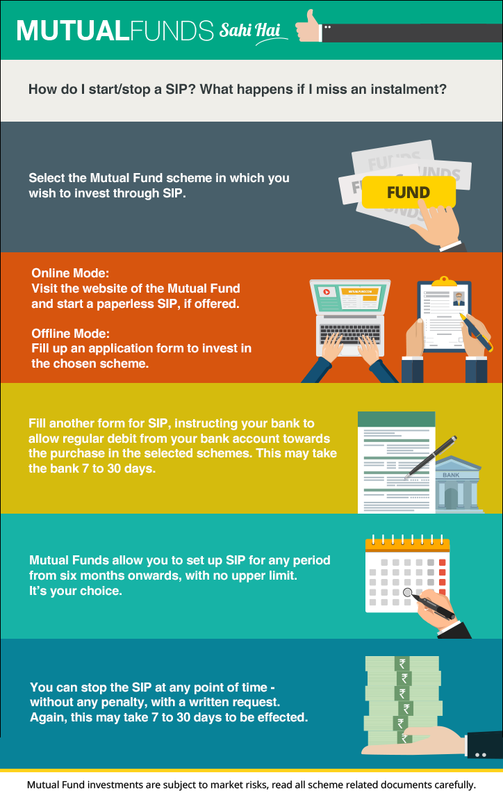 At most, the Mutual Fund Company would stop the SIP, which means further installments would not get debited from your bank account. At the same time, you can always start another SIP, even in the same folio, even after the earlier SIP was stopped. Please keep in mind, this would be treated as a fresh SIP and hence there could be some time taken to set up the SIP all over again. Consult with a financial advisor today and start enjoying the benefits of Mutual Funds! Are Mutual Funds an ideal investment for the small investor? How long does one need to stay invested in a Mutual Fund?